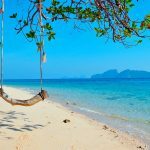 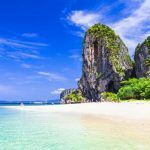 Railay travel guide — The fullest guide for a trip to railay beach, Thailand - Living + Nomads – Travel tips, Guides, News & Information! 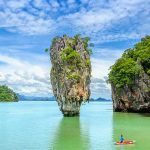 A peninsula is located in the south of Ao Nang area, Railay is almost separated from all the living things of the north area even though only 5 minutes by boat from Ao Nang. 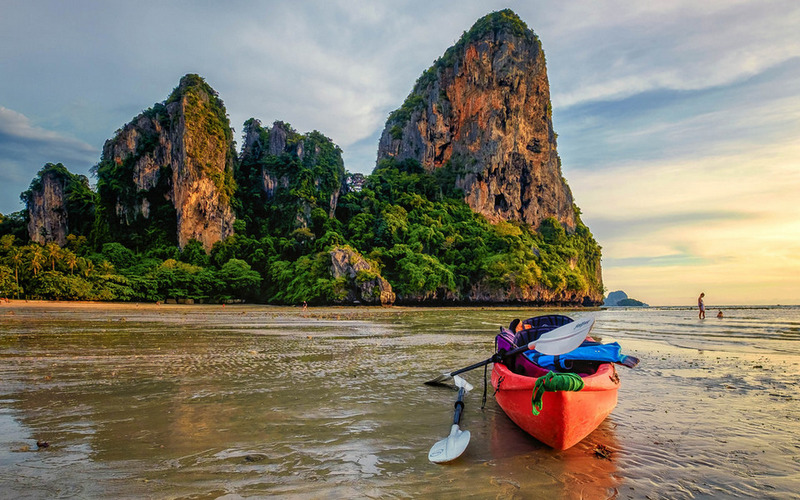 Therefore, when you travel to Railay, you will feel like you are stepping into another world, immersed in a forgotten paradise in the underworld. 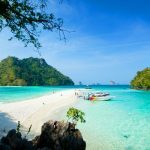 Let’s explore this beautiful beach through Railay travel guide: All things you need to know — The fullest guide for a trip to Railay beach, Thailand: From discover Railay beach, top things to do in Railay, Railay activities… to best places to stay in Railay: hotels, hostels and budget accommodation. 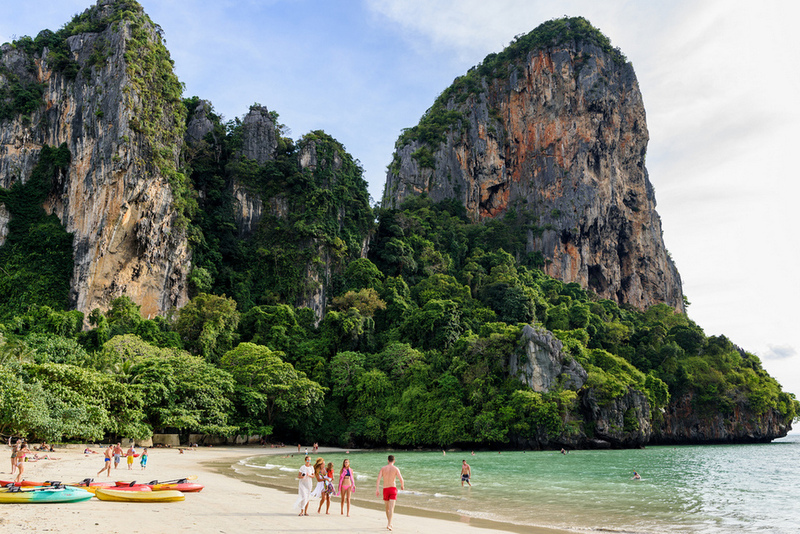 Railay Beach (also spelled as Raileh, Railey) is famous for climbing activities and other types of underwater leisure activities. 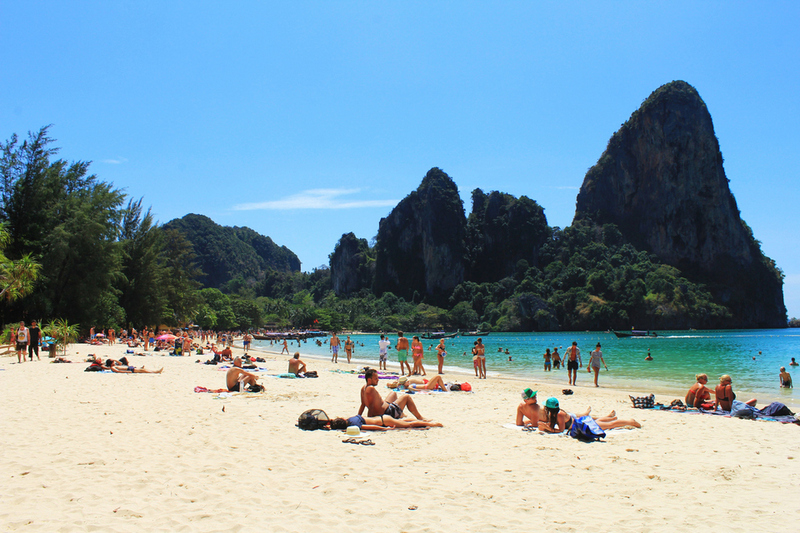 You can choose to relax on the beach or take part in scuba diving tours on some islands such as Krabi. 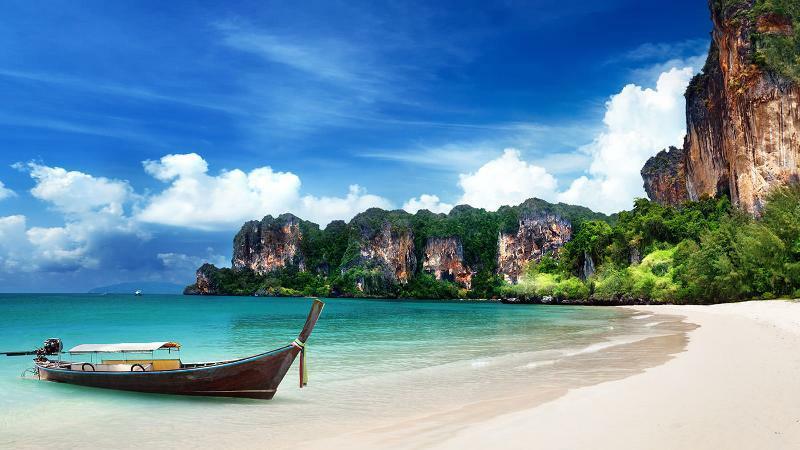 So, if you are planning to travel to Thailand, you should not miss Railay. 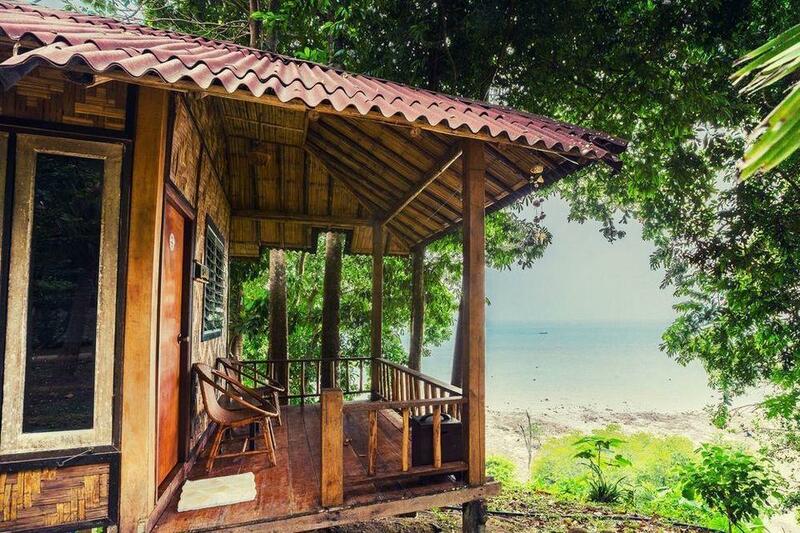 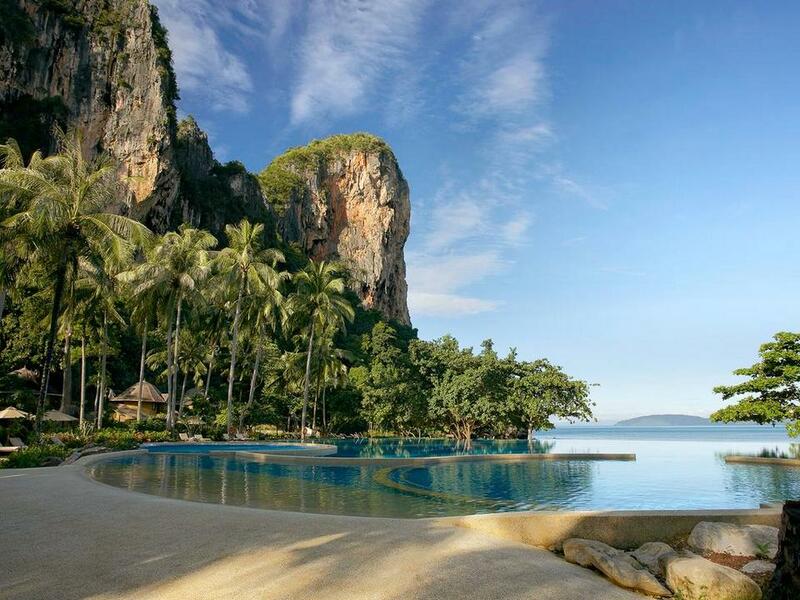 Railay Beach is divided into two different areas, the first one is resort paradise in Railay West, the second is Railay East area with more affordable. 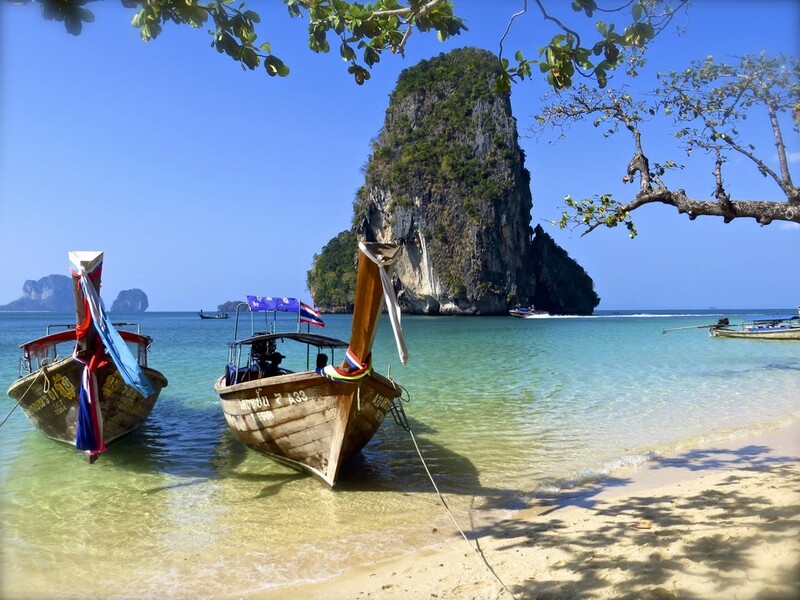 Railay West Beach is the most famous area of Railay with a beautiful natural view that you will want to spend most of your time there. 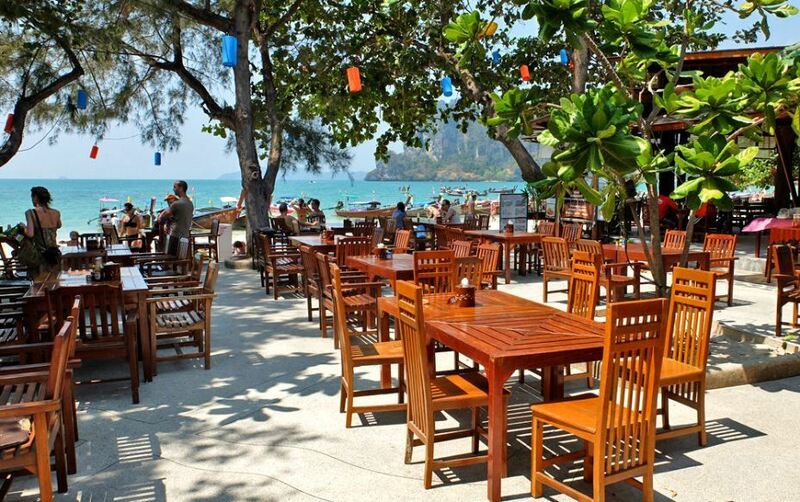 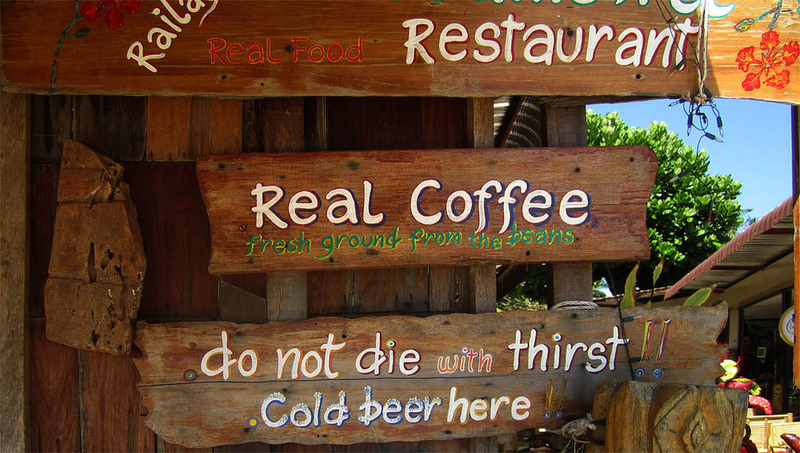 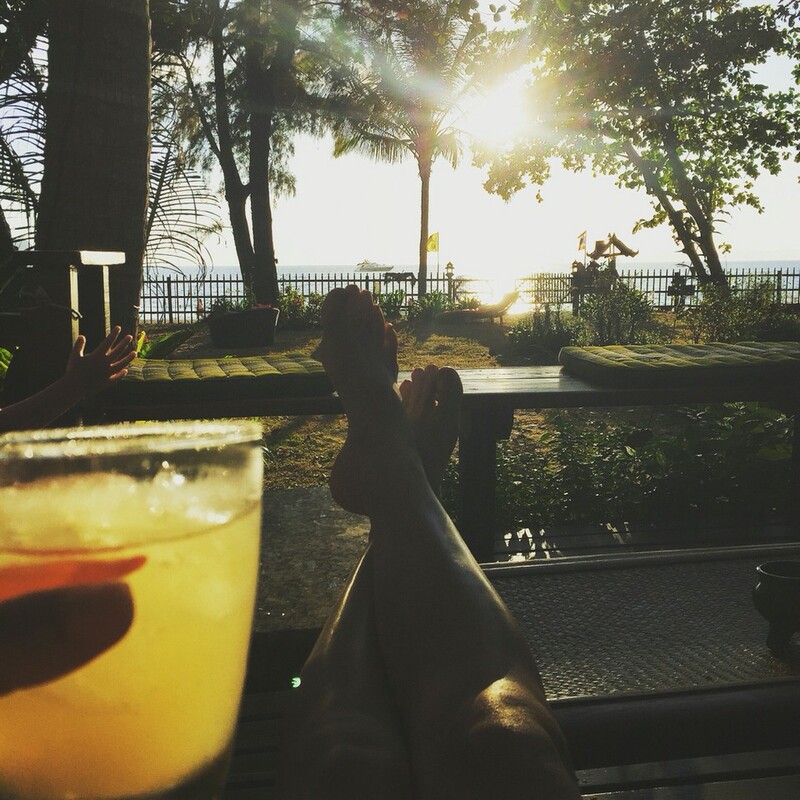 There are many restaurants and bars along the coast that make Railay West an ideal place to relax. 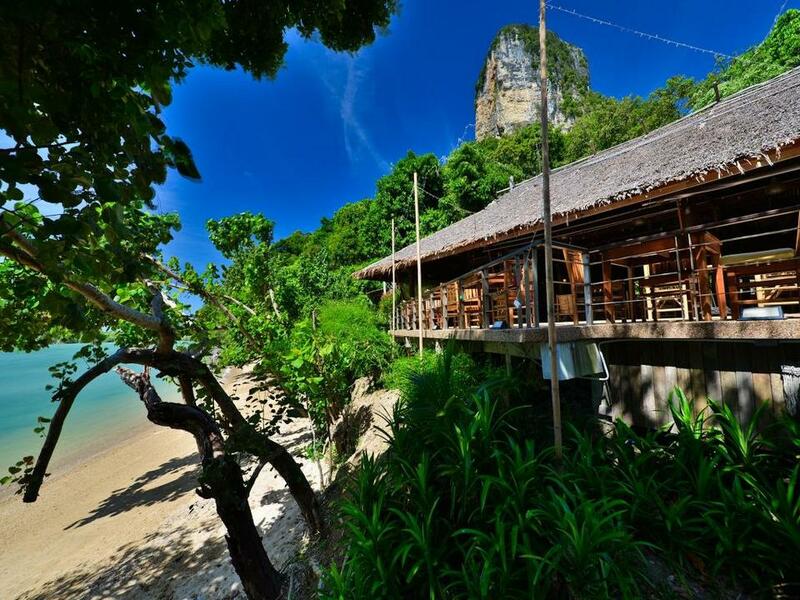 Railay East Beach may not be as exciting as Railay West because the beach is almost covered by mangrove forest, but it is still an exciting place to stay and enjoy Railay’s nightlife activities. 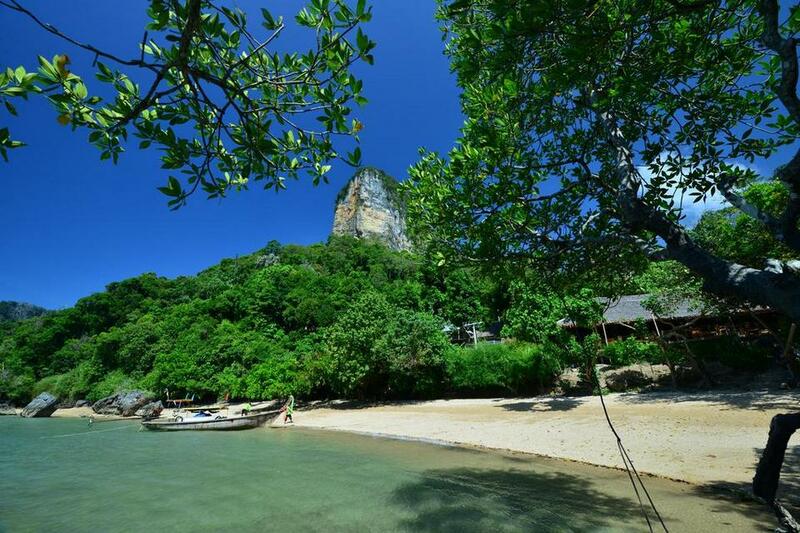 Geographically, Tonsai is a separate beach but it is very convenient for getting Railay West. 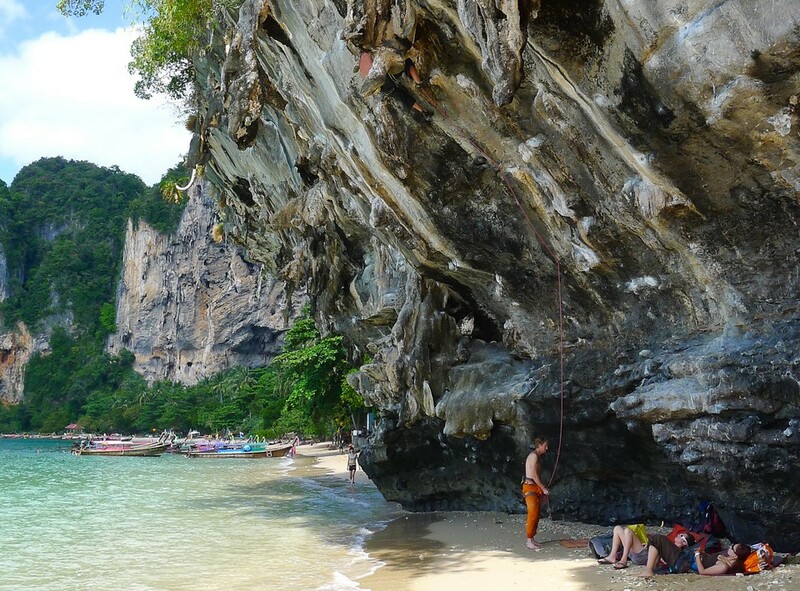 Close to Tonsai’s shores are large limestone cliffs surrounding Railay Beach, which is very convenient for you to join in the climbing. 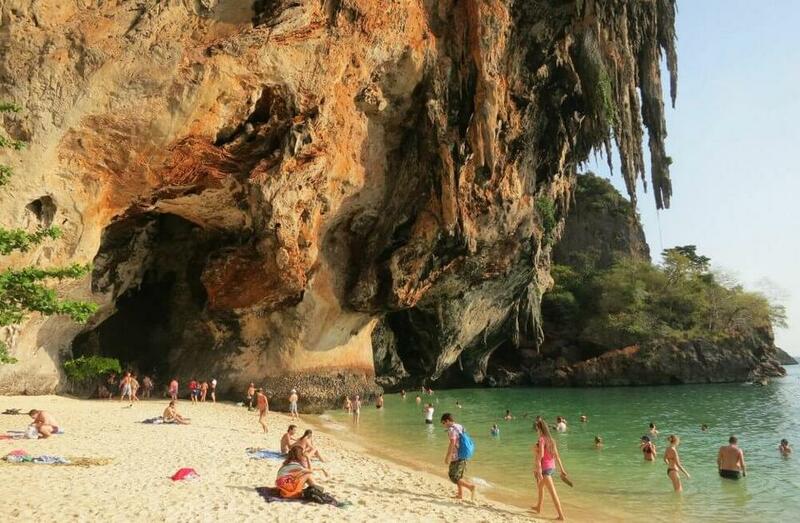 Phra Nang Beach is a short distance from Railay West Beach, often known for its reproducible caves, wooden Buddha statue, etc. 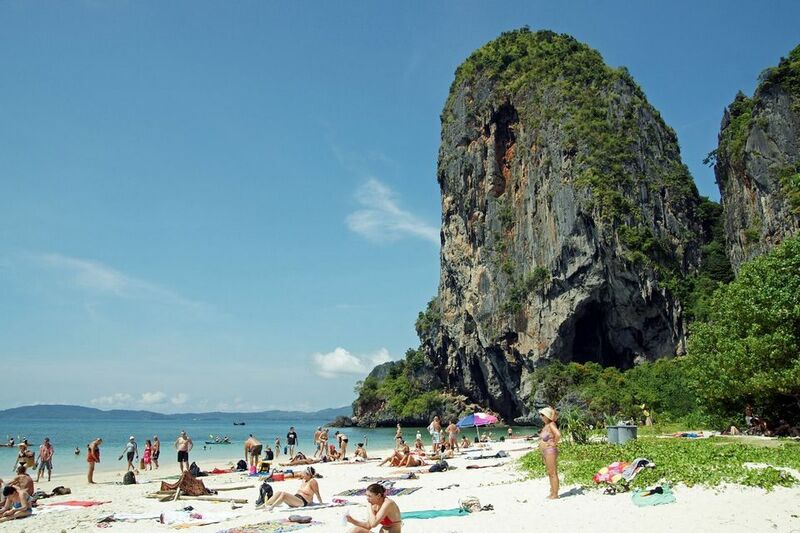 Phra Nang’s clear water and clear sands also attract tourists more than for Railay West tourism in peak seasons. 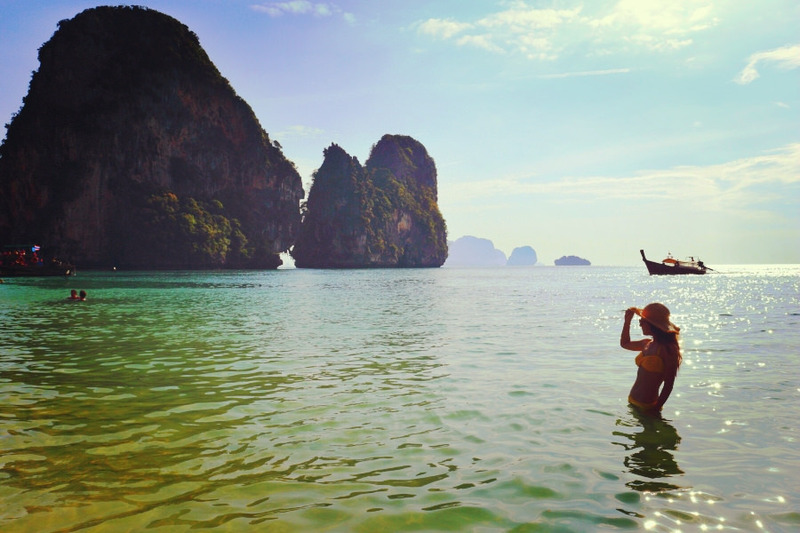 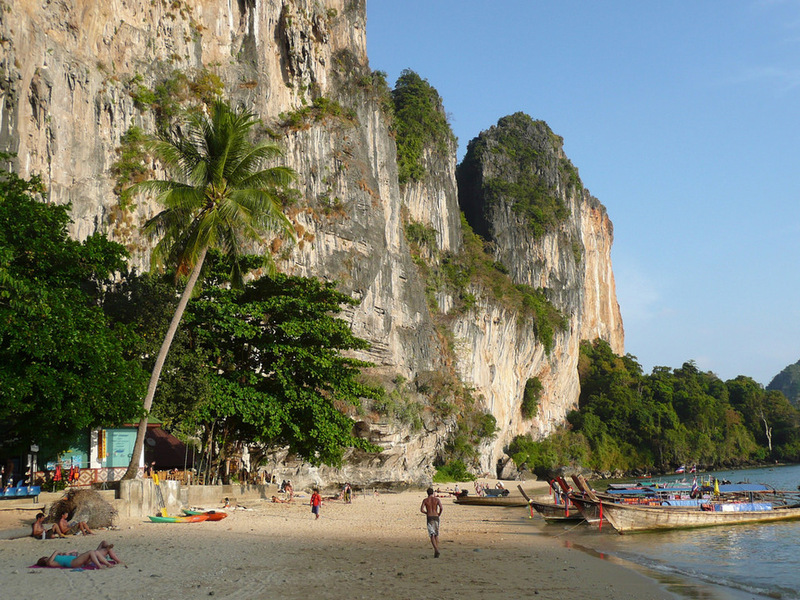 Unlike Ao Nang, Railay tourism has almost no many attractions or entertainment places. 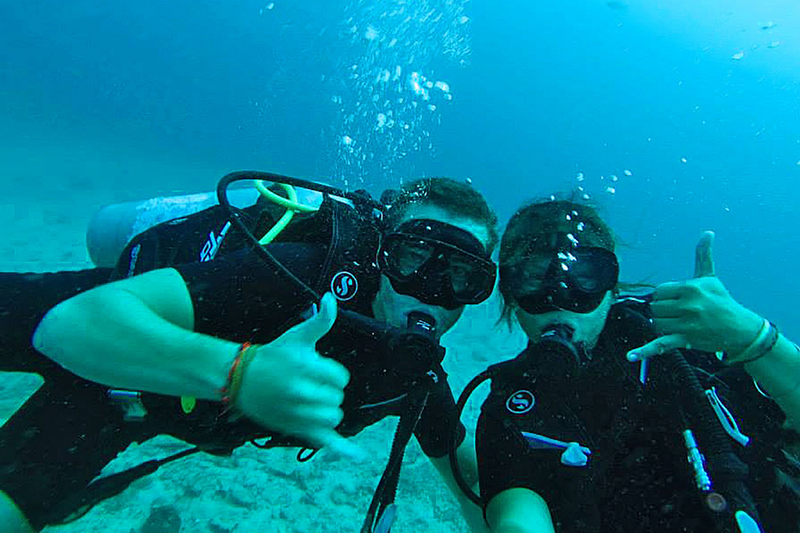 Therefore, the only and best choice for you is the variety of underwater activities. 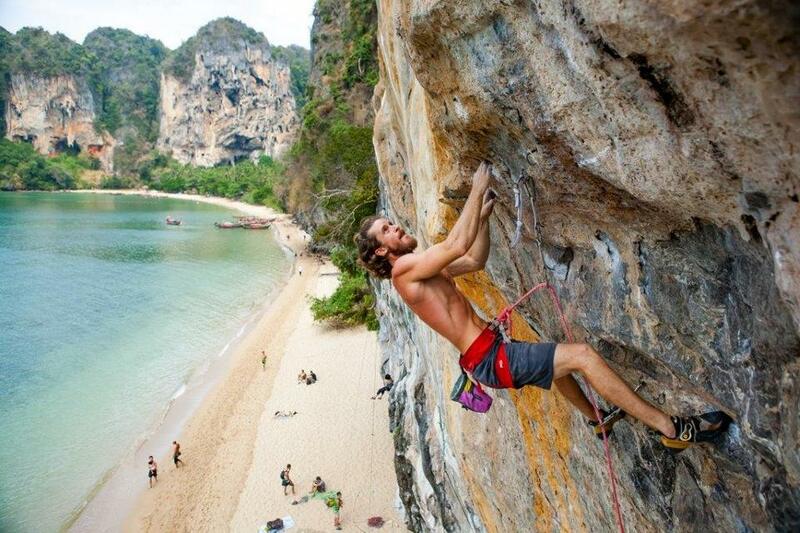 Tonsai Beach is one of Thailand’s most famous climbing destinations with huge limestone cliffs. 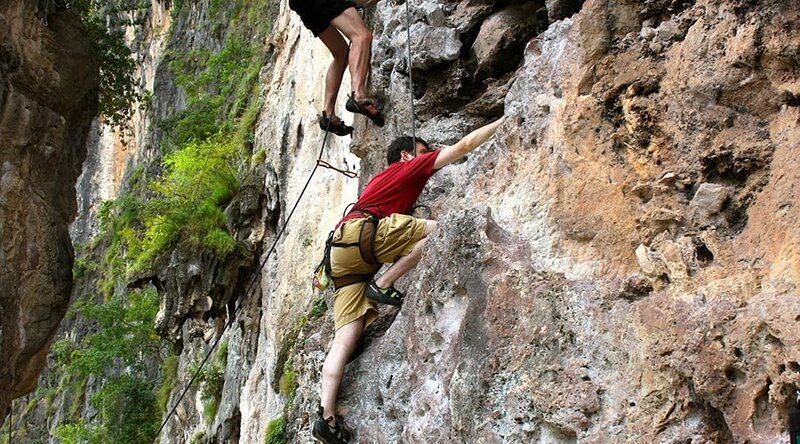 This will definitely be a challenging place for experienced climbers. 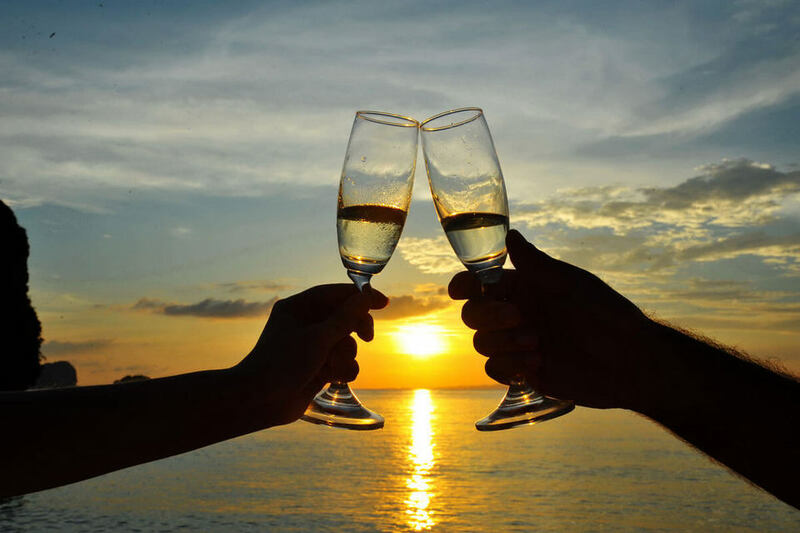 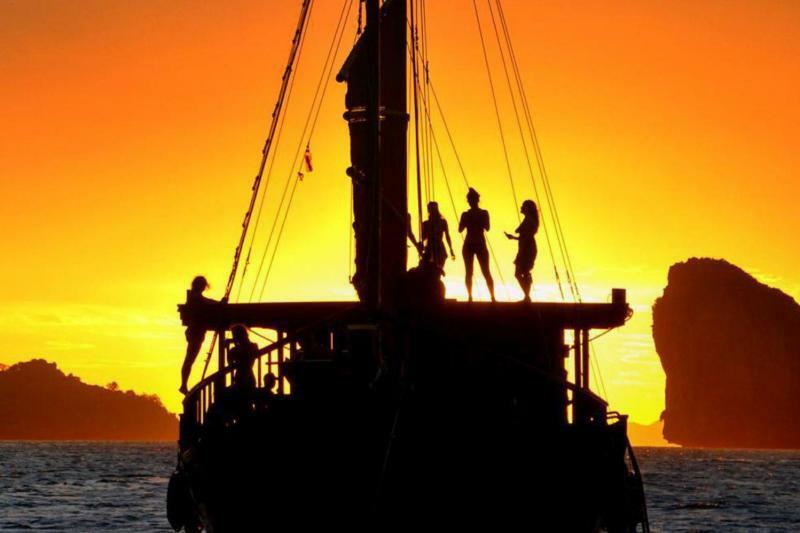 When traveling to Railay, you can choose another unique form of entertainment is to enjoy the sunset in the romantic atmosphere of Siamese Junk Cruise. 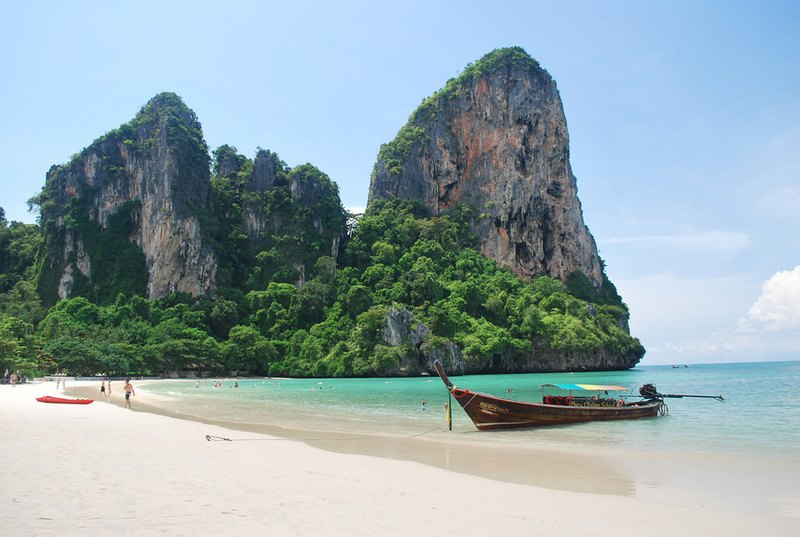 This cruise’s journey will take you to 5 islands, including Poda, Tup, Si, Ta Ming, Wasam & Gai. 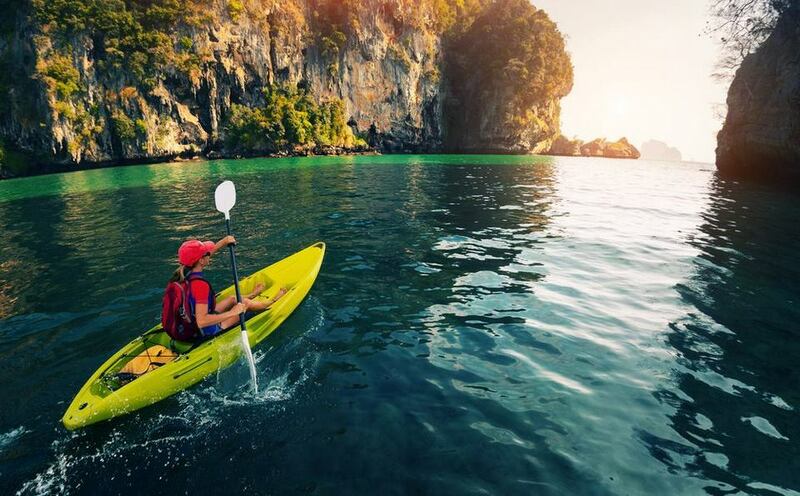 Here, you can spend time swimming, diving, kayaking or taking part in sailing activities. 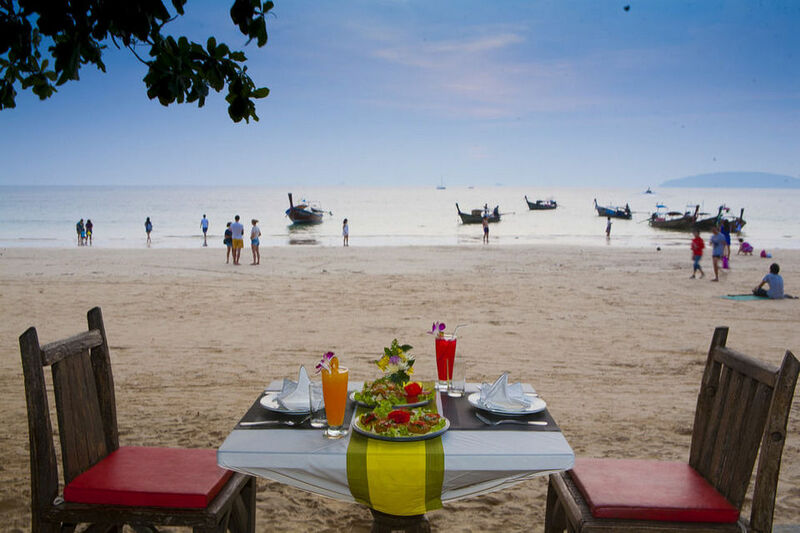 As the sun goes down, you can enjoy a buffet dinner and watch the sun goé down on Pranang Bay. 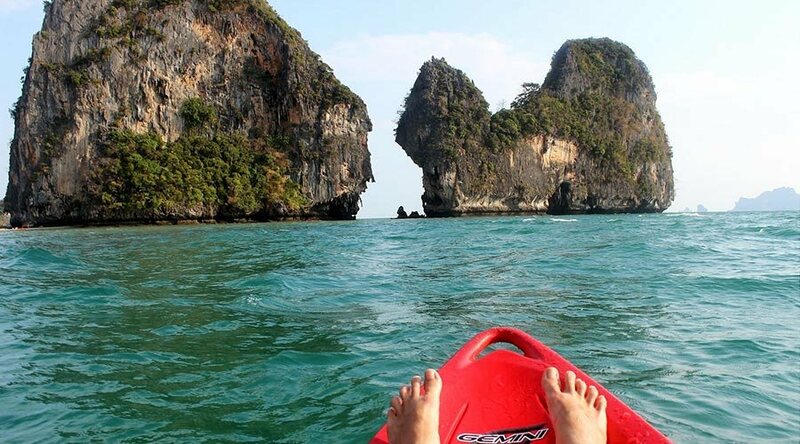 Kayaking is one of the best ways to see Railay and Phra Nang. 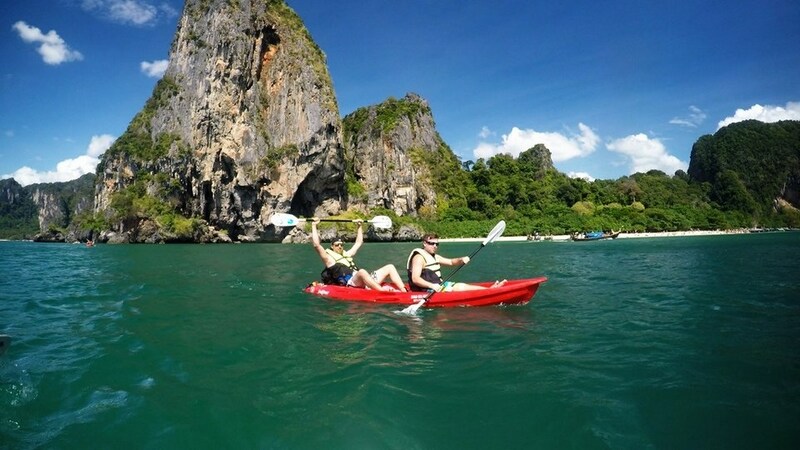 Kayak is available for rent on Railay West – you can ask one of the rental service suppliers for advice on the best places to sail before you go. 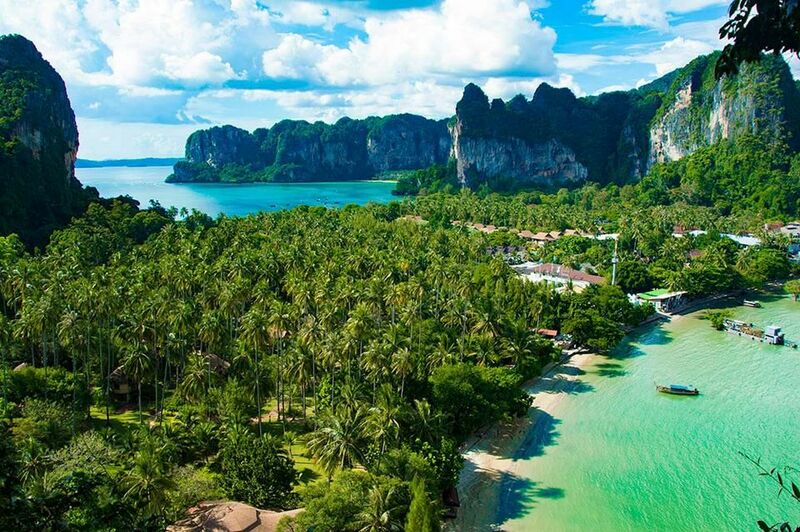 Railay Viewpoint will be a challenge for visitors who have a weak health, but certainly, the feeling that this place brings you will be very memorable. 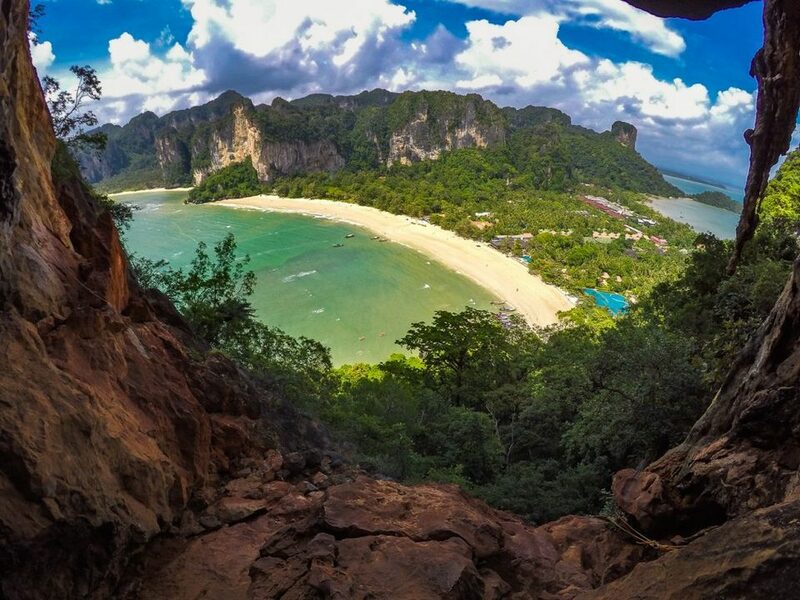 The Railay Viewpoint is located in the south of Railay East, where there are quite slippery roads, you should prepare carefully for the front line before conquering Railay Viewpoint. 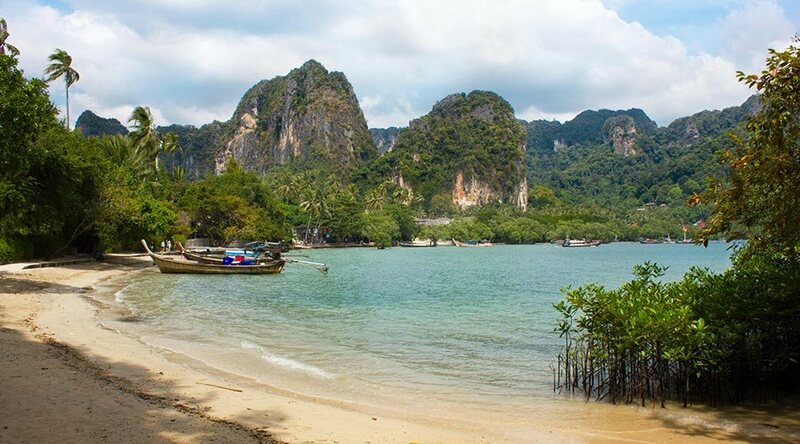 If you think that Railay Viewpoint is not a real challenge, let’s come to Railay Lagoon with lagoon ecosystems, such as challenging trails. 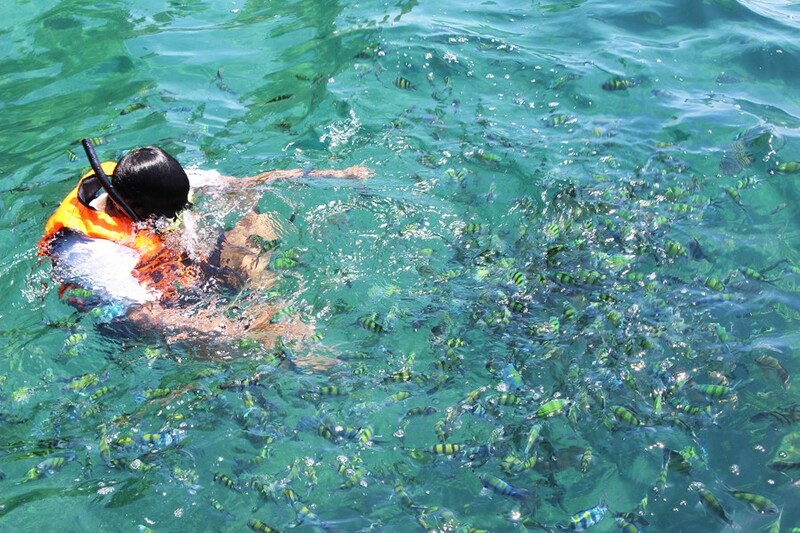 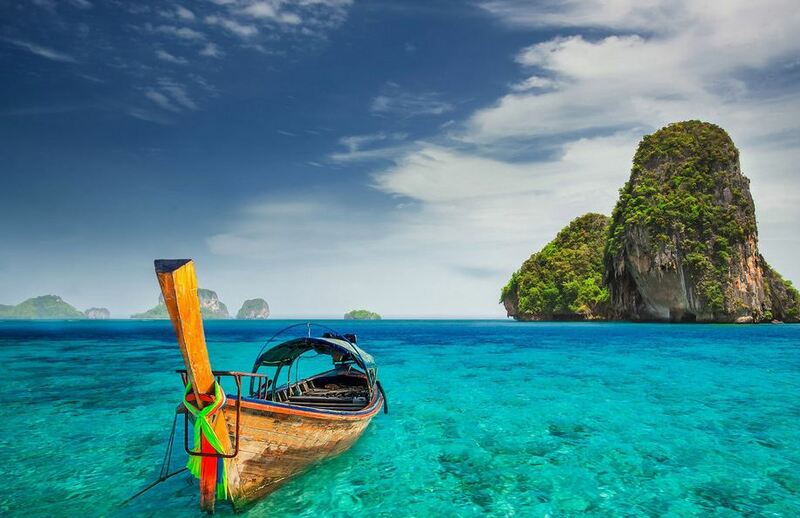 If you are not interested in scuba diving on Railay Beach, try renting a boat to find other offshore destinations. 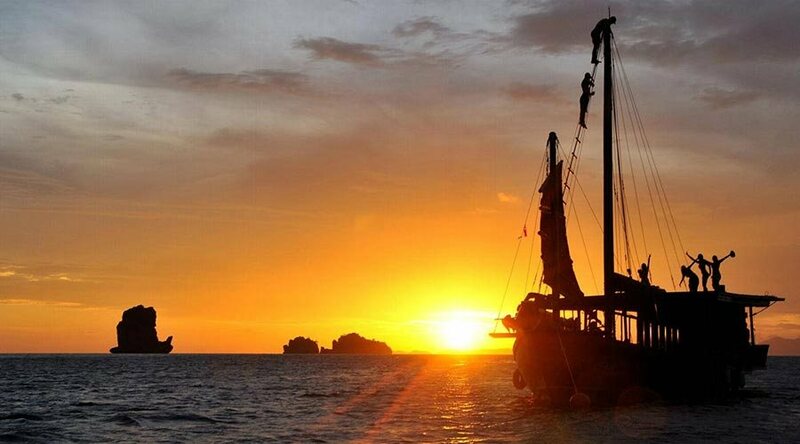 Regular offshore diving trips are offered in Railay West and East to get the top scuba diving destinations of Krabi. 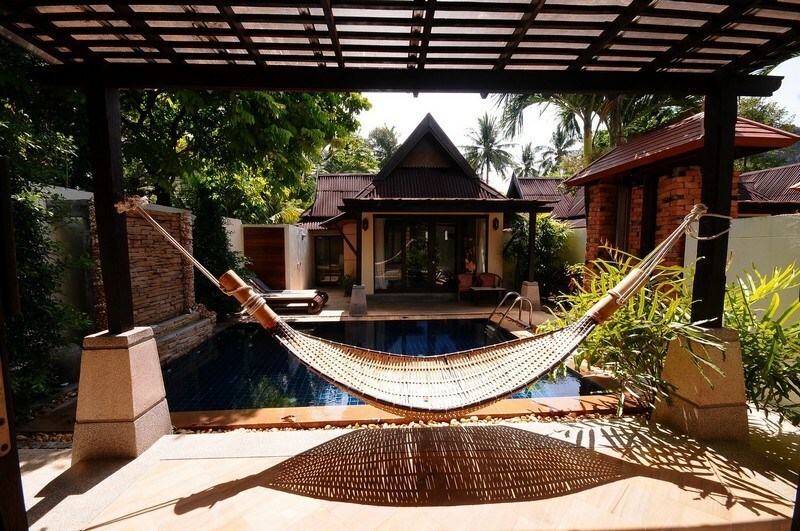 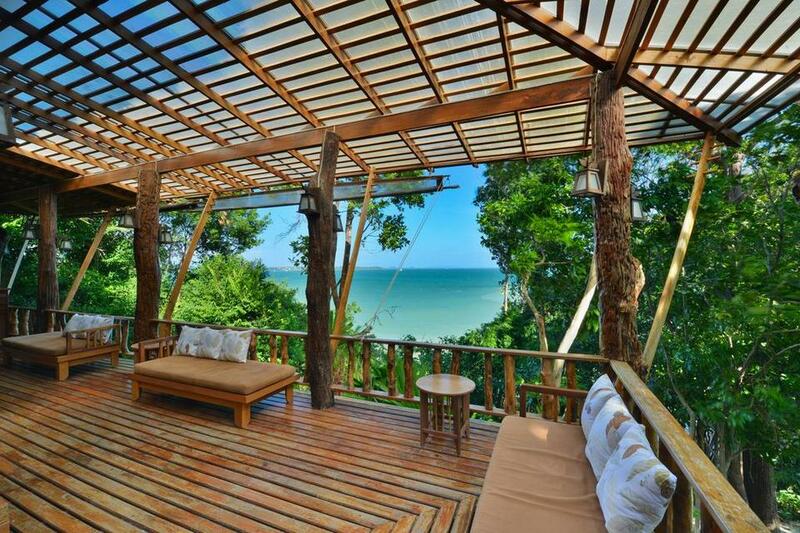 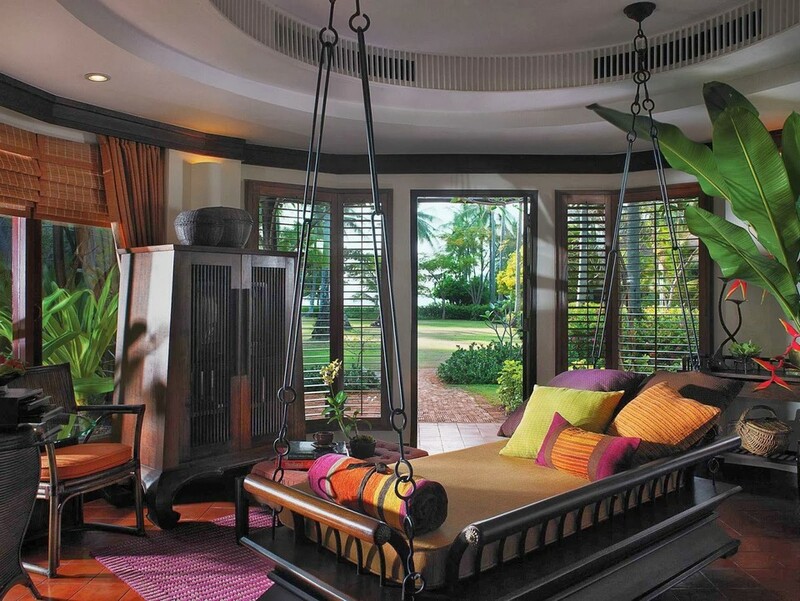 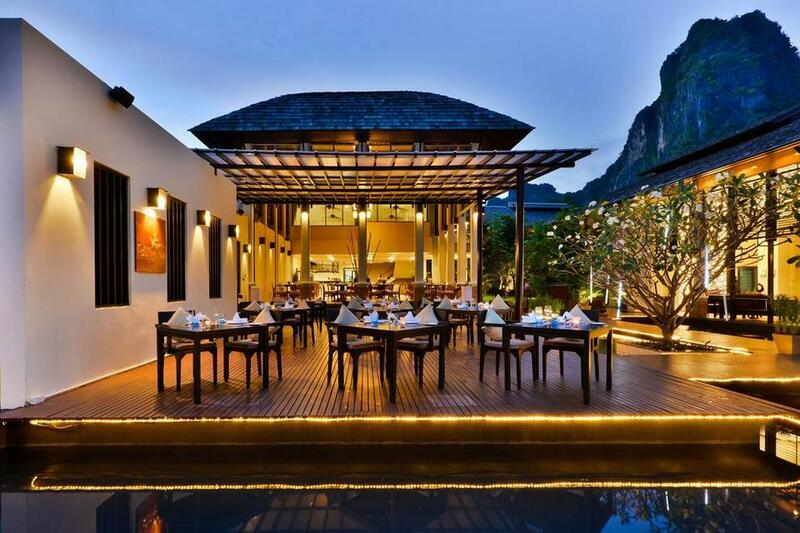 Rayavadee Hotel is a luxurious resort located on Phra Nang beach. 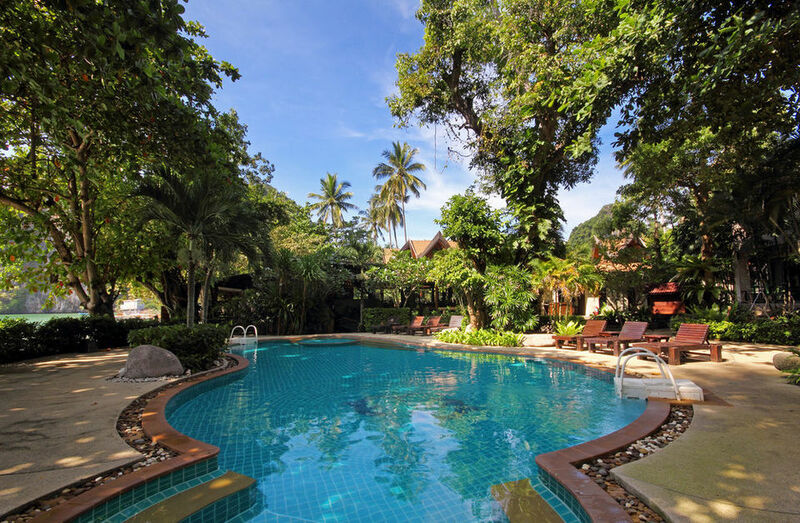 The villas here have an outdoor pool and other good services. 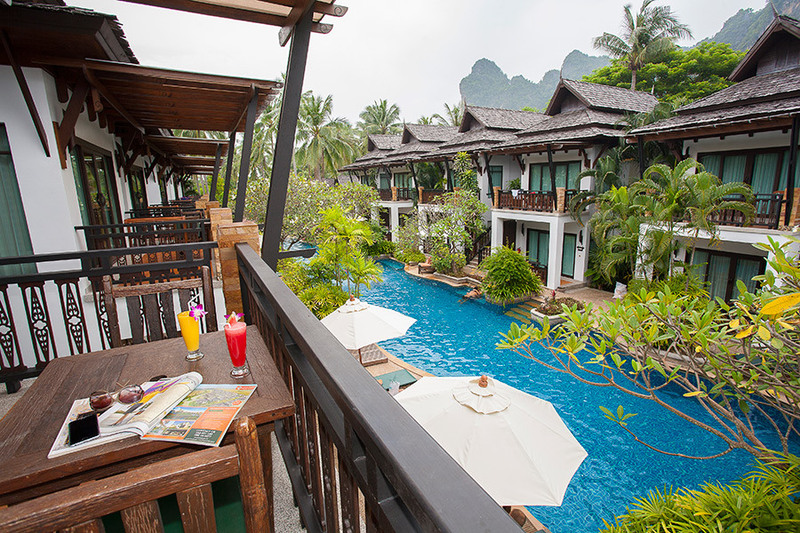 At the same time, the resort also has easy access to Phra Nang and Railay West beaches. 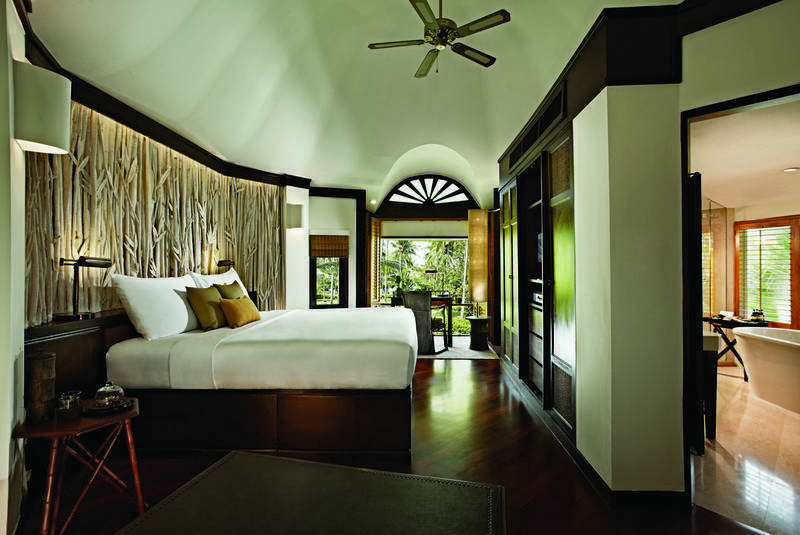 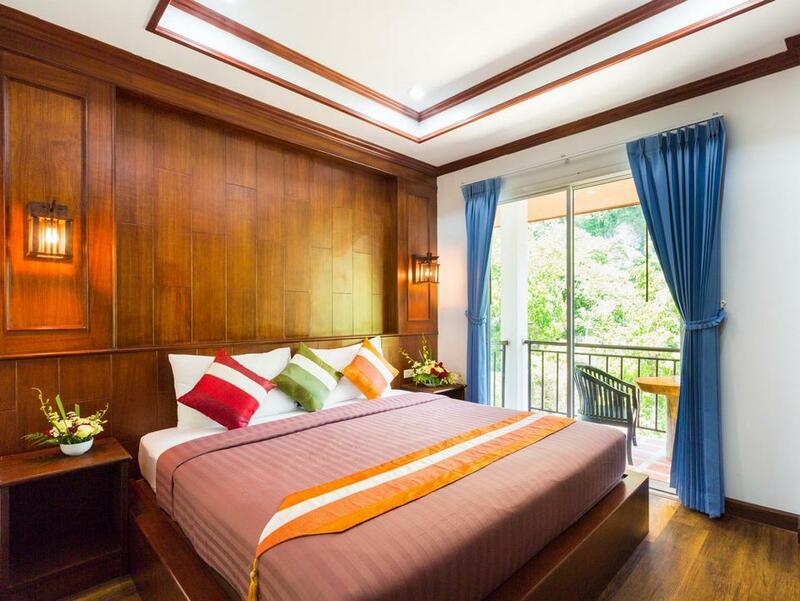 Bhu Nga Thani Resort and Spa offers a range of accommodation options, from luxurious double rooms to Presidential Villa Villas. 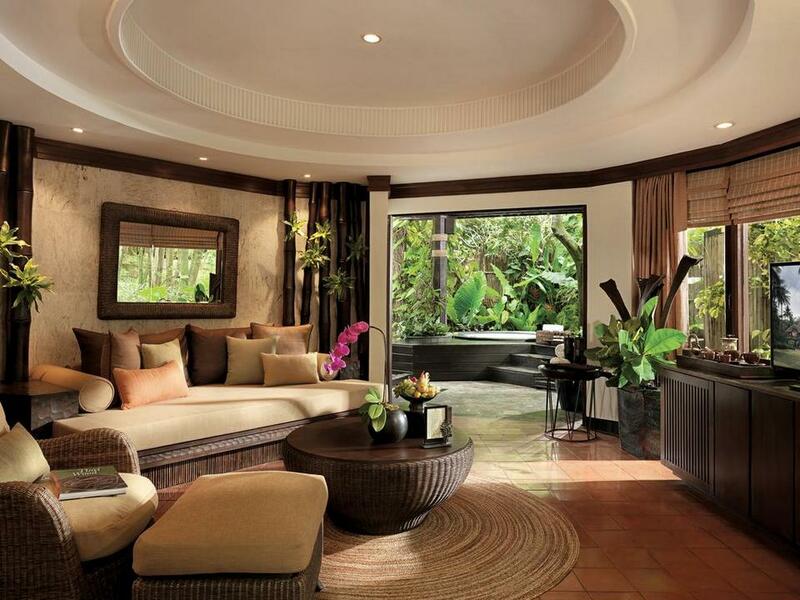 The rooms are spacious, sunny and modern. 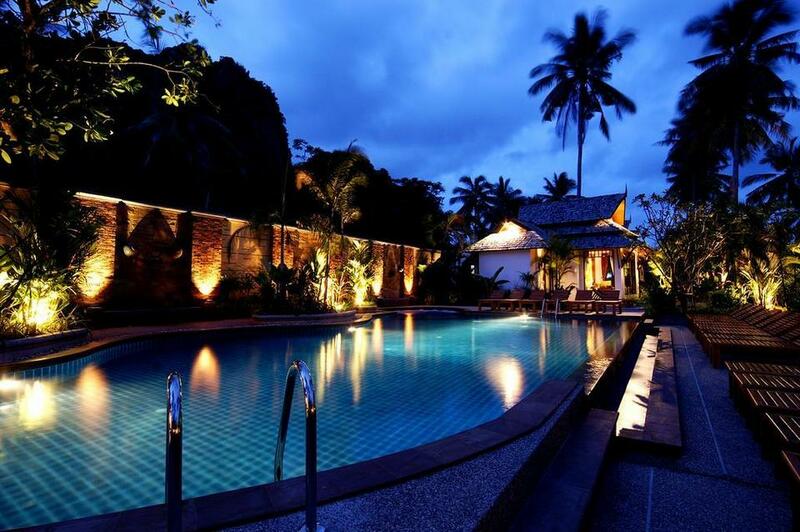 The resort also has a large outdoor pool and luxury spa. 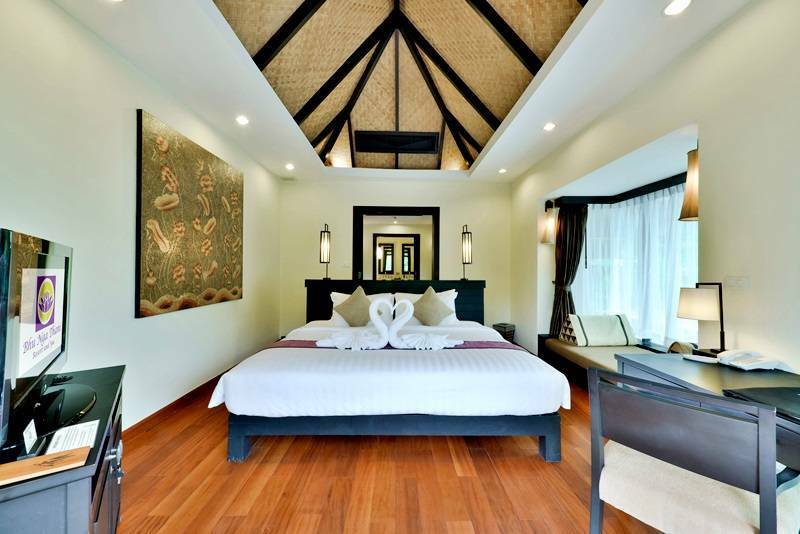 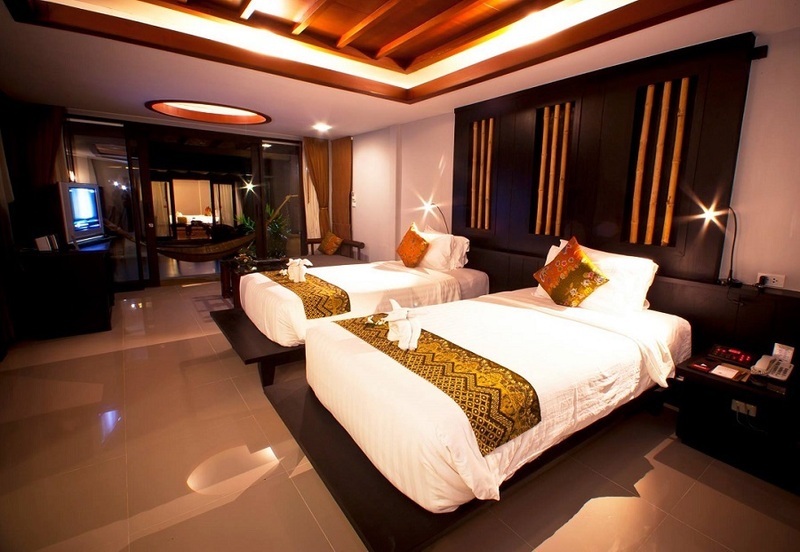 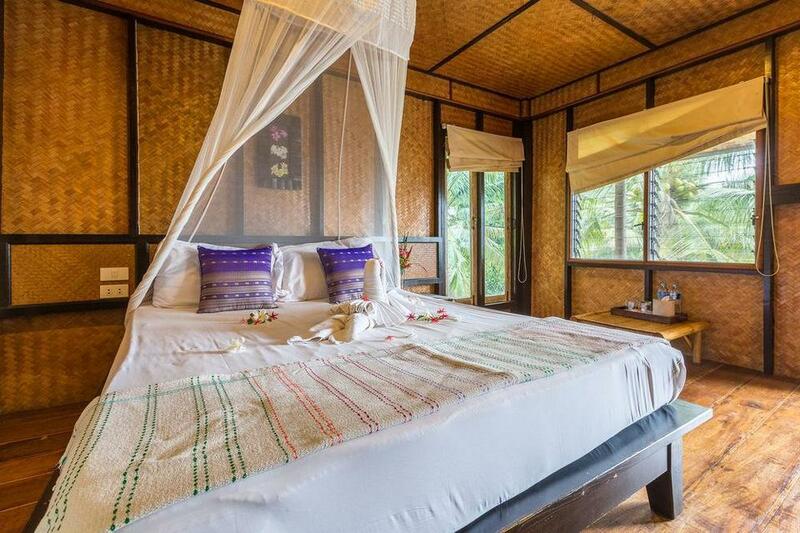 Railay Village Resort and Spa offers spacious, comfortable rooms and combines a relaxing view that makes it an ideal choice for travelers looking for a luxury hotel with affordable price. 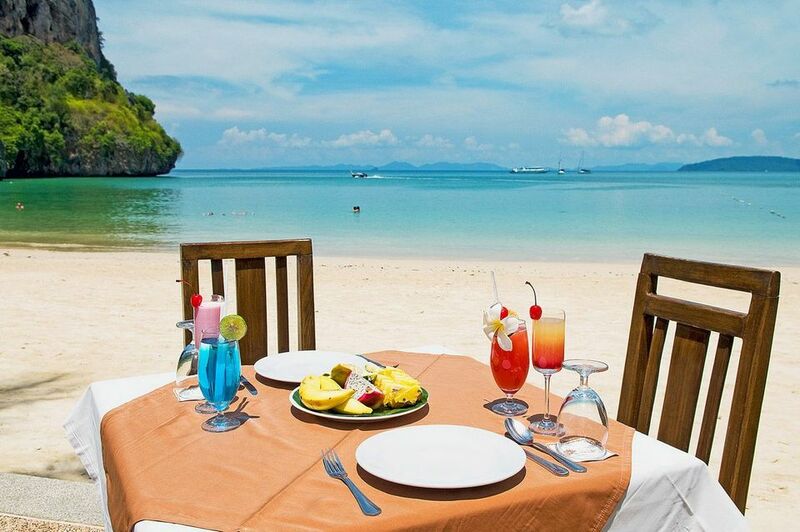 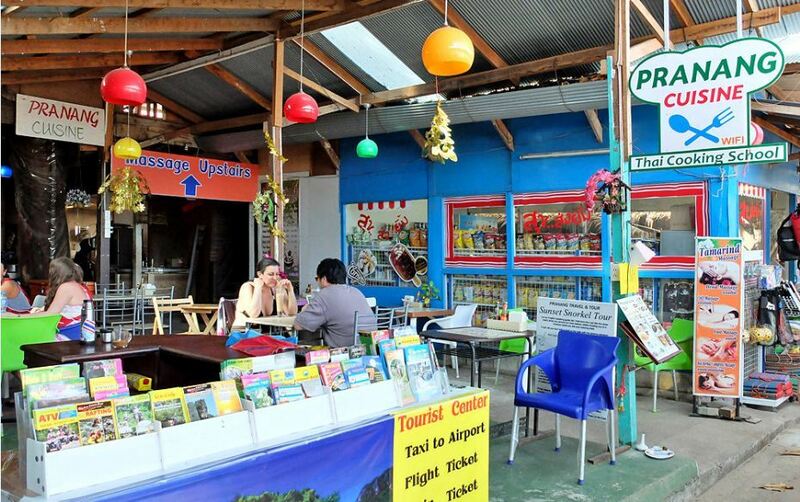 From Railay Village, you can enjoy seaside dining and easily get to Railay West. 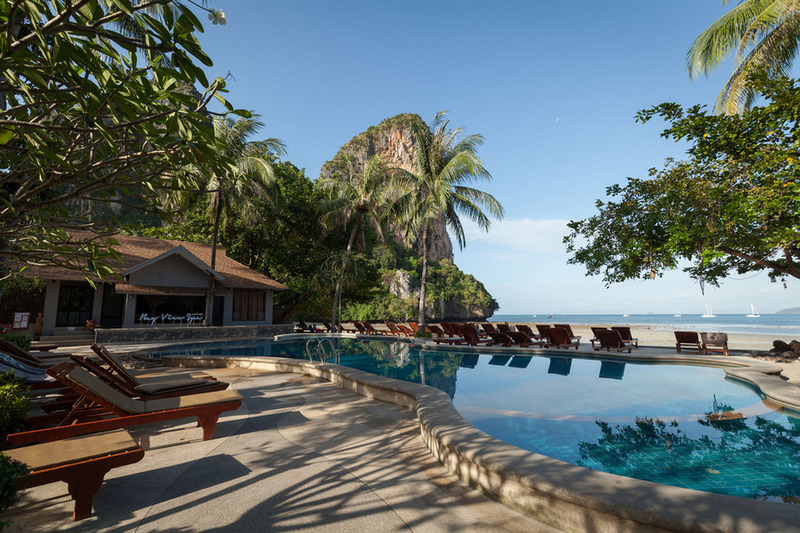 Situated on a hill overlooking Railay East, Railay Great View Resort is an ideal place for those who enjoy the beautiful view. 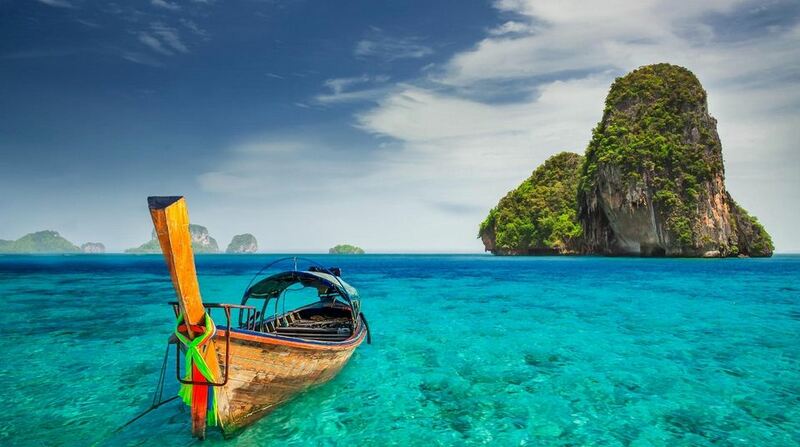 Outdoor pools and spas will be a great place for you to relax, despite the uncomfortable sounds of nearby boats. 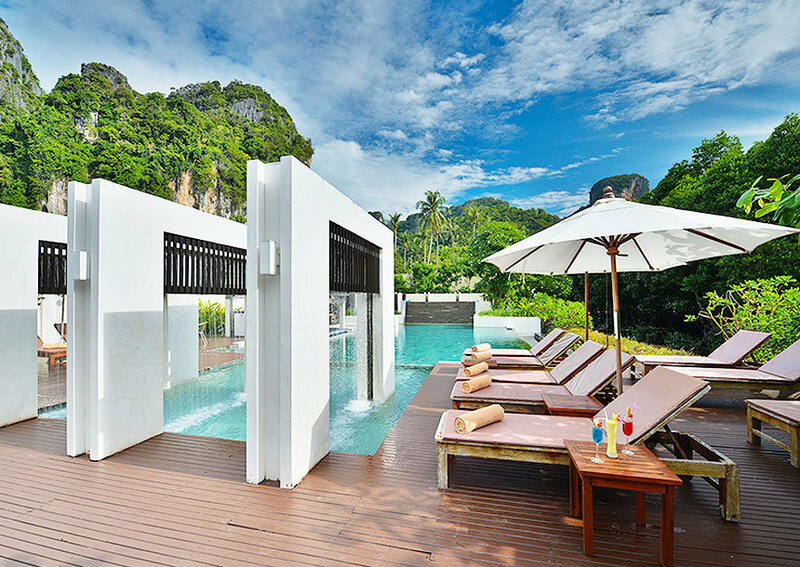 One of the best resorts in Railay West, Railay Bay Resort and Spa offers cottages and villas with swimming pool which have the way to access Railay Beach. 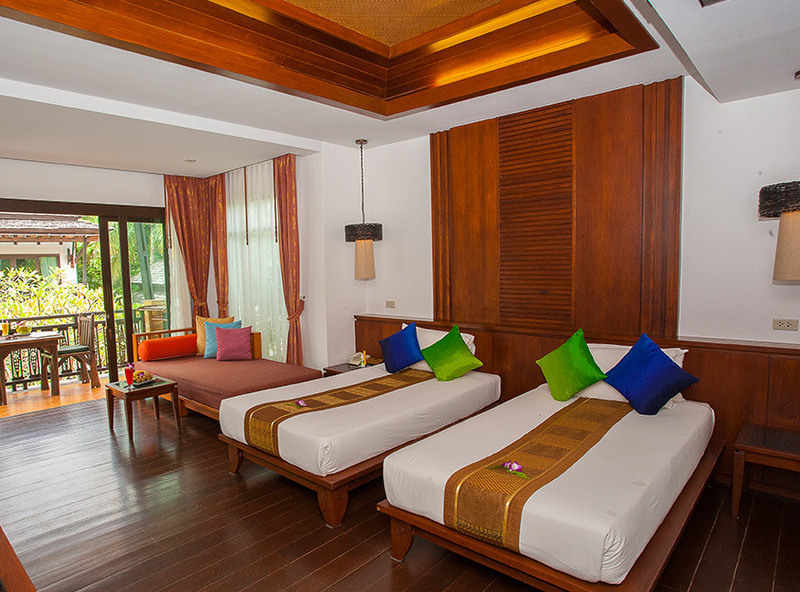 Large rooms and restaurants are located right on the beach for guests’ convenience while staying. 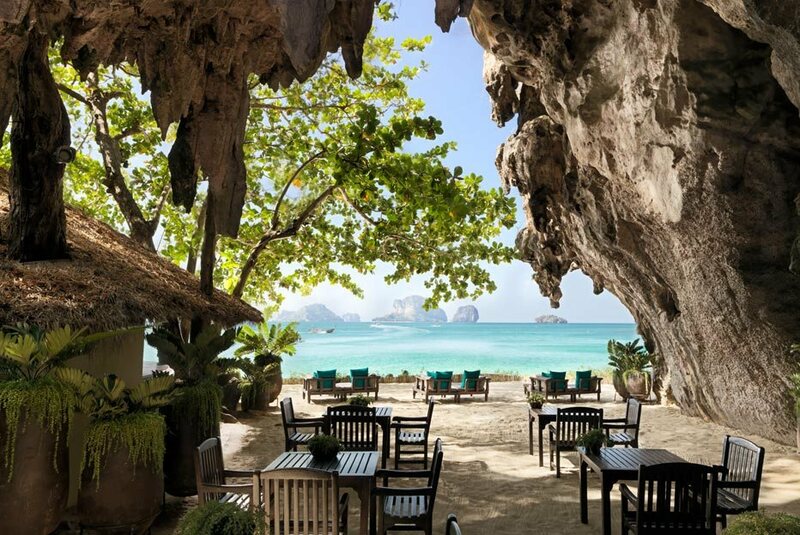 Situated near the limestone cliffs of Railay East, Railay Phutawan Resort includes a system of rooms, cottages, and villas in convenient locations for visitors. 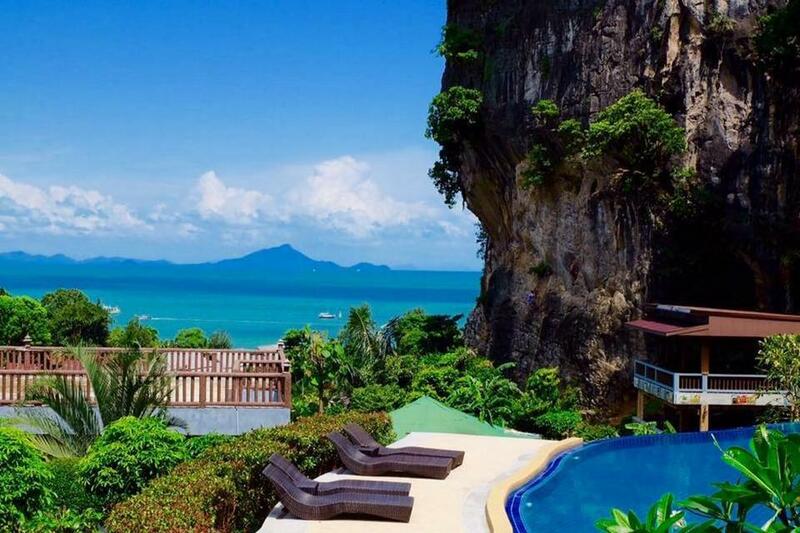 The rooms are well furnished and tastefully decorated, but the defect of this place is that it is a long way distance from Railay West. 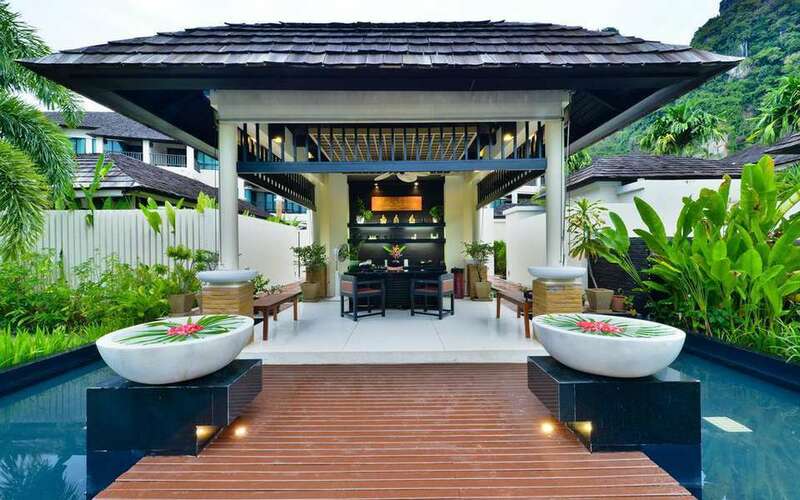 Railay Garden View Resort is located in the north of Railay East, quite far from the development area of Railay with a system bamboo and wooden houses. 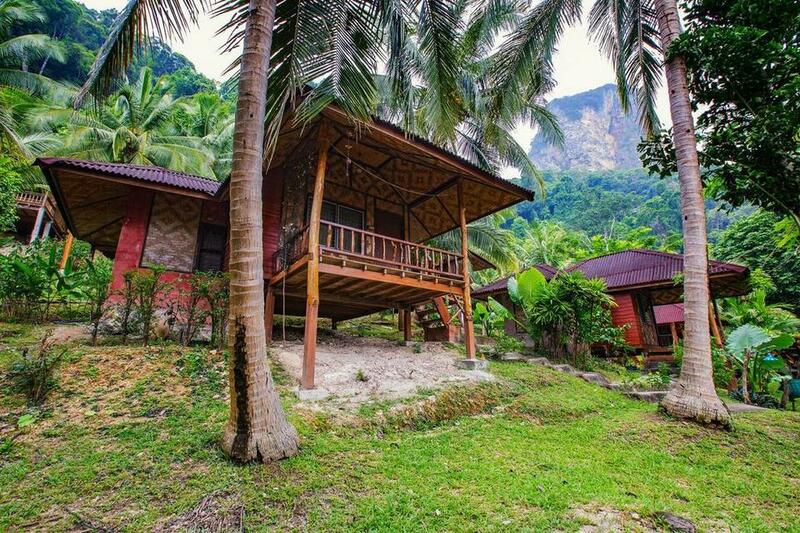 This place is considered a cost-saving place for those who do not want to spend too much money on accommodation. 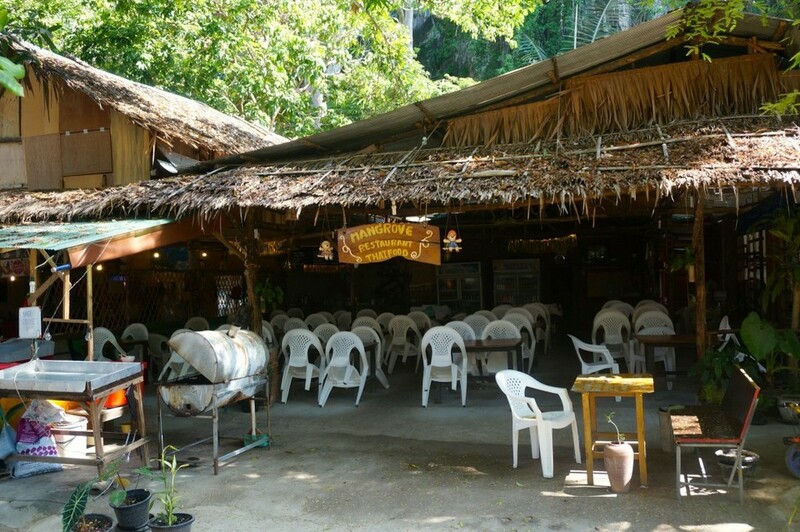 It is located between Railay West and Railay East, Wan-A-Rouy serves delicious Thai dishes at reasonable prices. 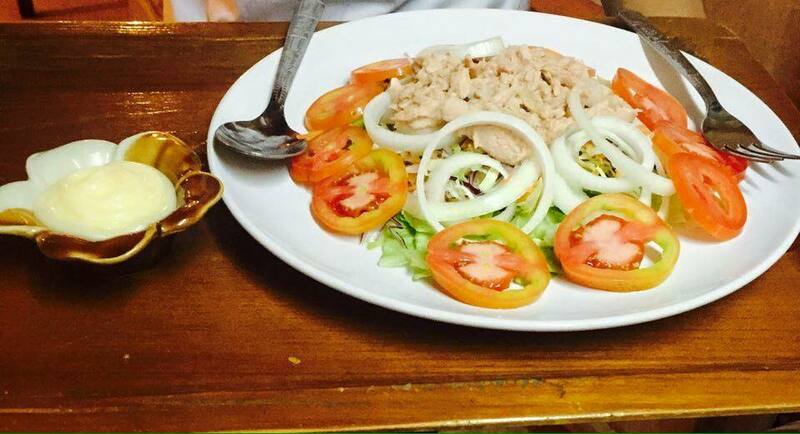 Fresh seafood is also available dishes at night for diners. 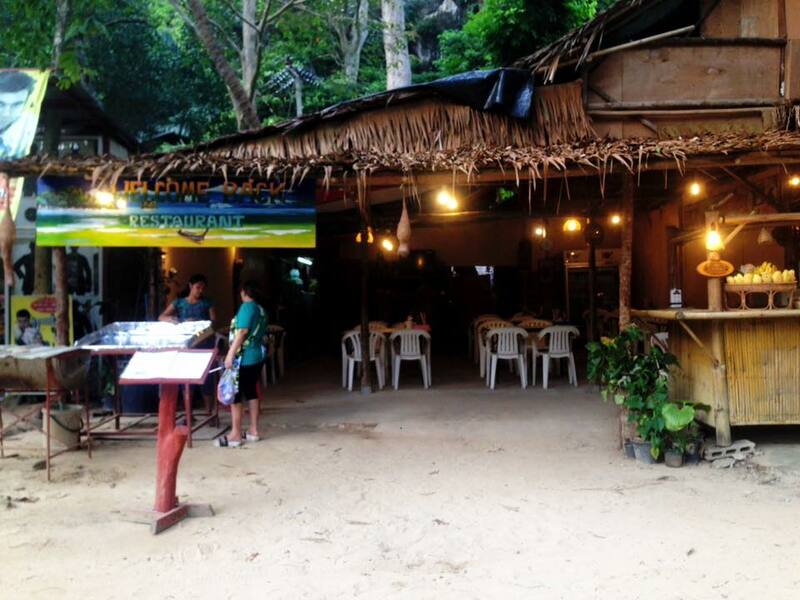 This is one of the restaurants located between Railay West and Railay East with a menu of specialties in southern Thailand. 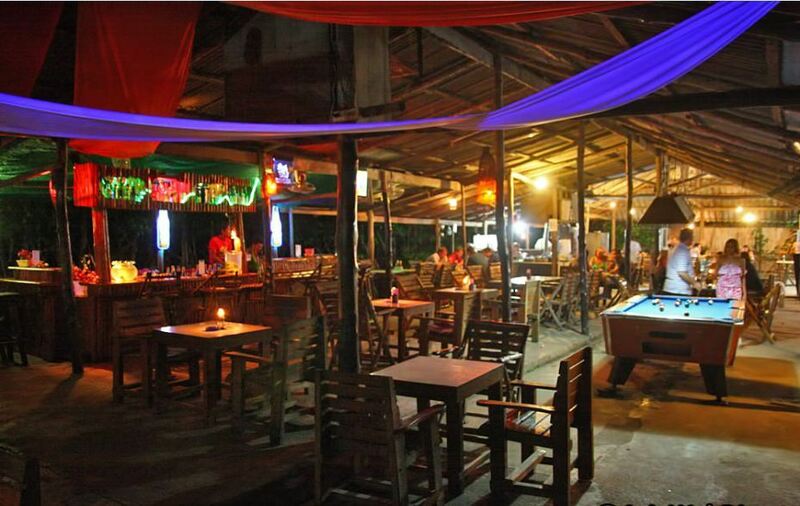 Reasonable prices and attractive cocktails make this place becomes an option for you to sip drinks with friends and enjoy dinner. 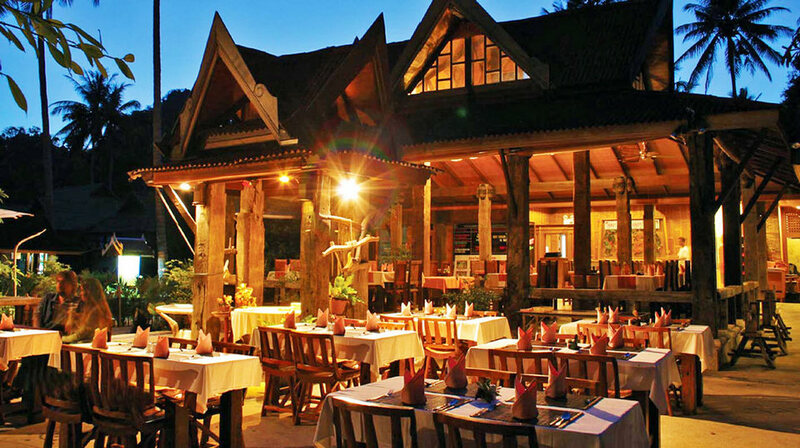 The Last Bar serves delicious Thai dishes and good beverages every evening. 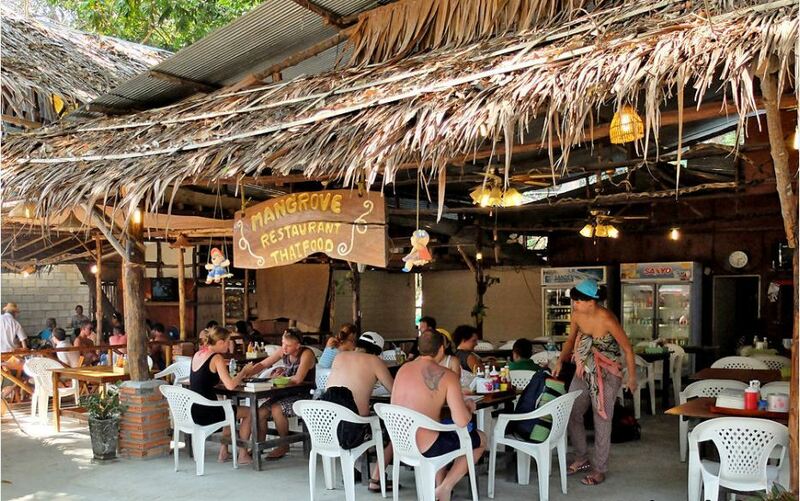 In addition, the bar offers live music and fire dances every night to attract visitors after a fun day at the beach. 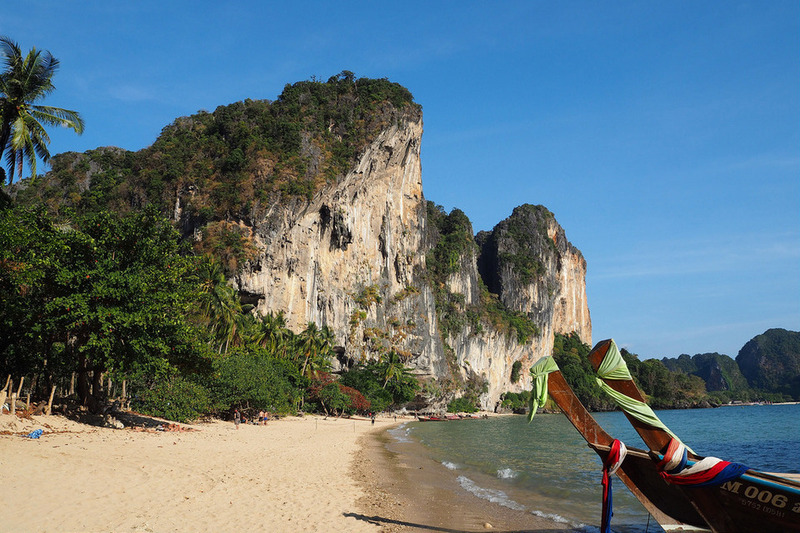 Railay Beach is separated from Ao Nang by a peninsula with rather rugged terrain; it is so difficult to travel by road. 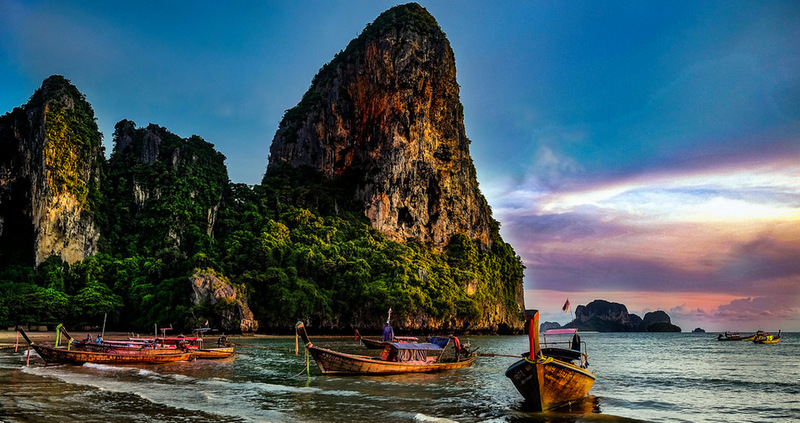 The long boat trips will provide transportation service from Ao Nang Railay often – however, you should wait until the full boat to reach Railaywithout paying too high prices. 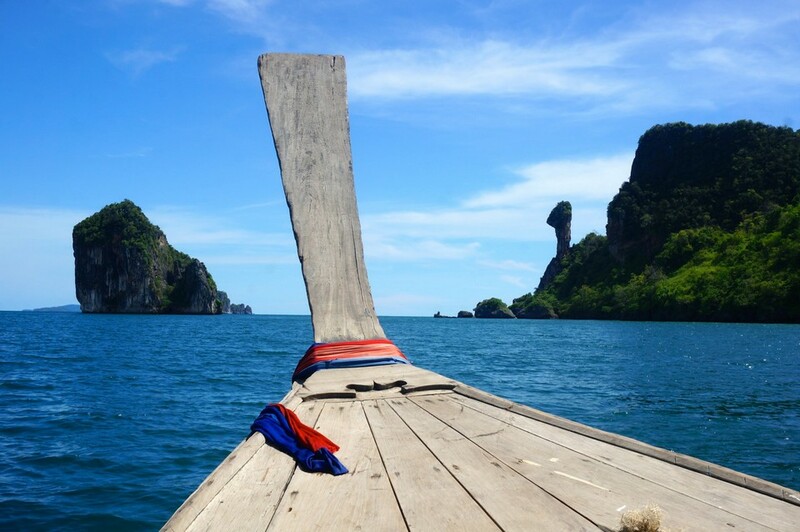 During high season, many long boats also move between the Krabi and Railay town. 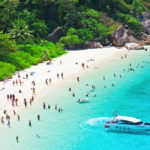 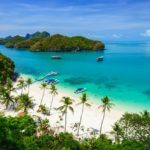 Tourists interested in reaching the beach but not using a long boat can also book private commercial sailing from Koh Lanta and from nearby islands. 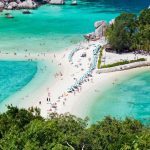 The peak season in Thailand lasts from November to April, so room rates are going up from mid-December to mid-February and especially on Christmas or New Year. 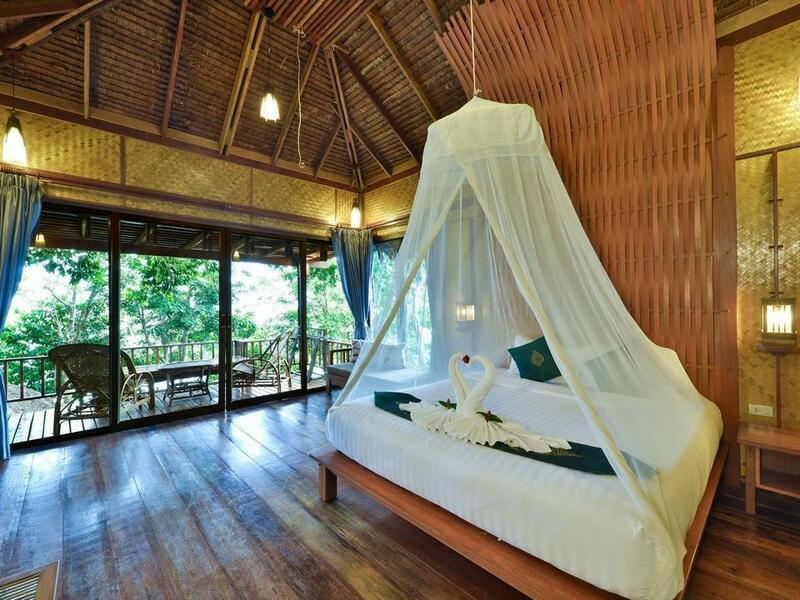 Although most of the resorts are still open at competitive prices during the rainy season from May to October. 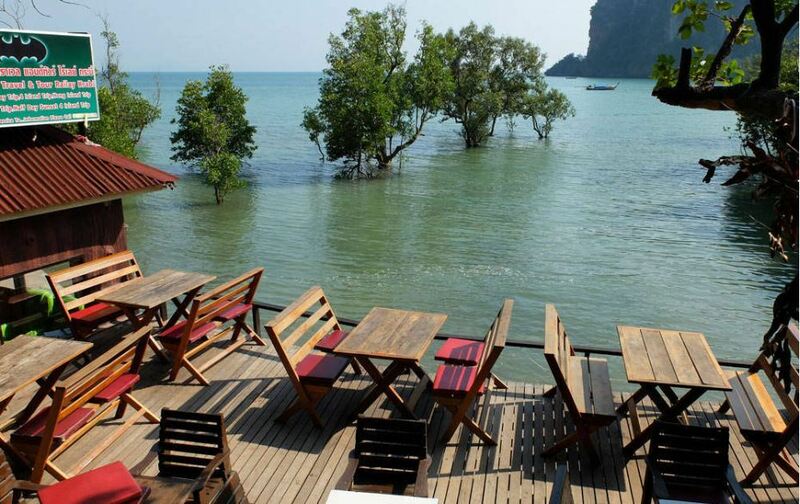 But in this time, many restaurants are closed at this time because of the frequency of storms is quite big. 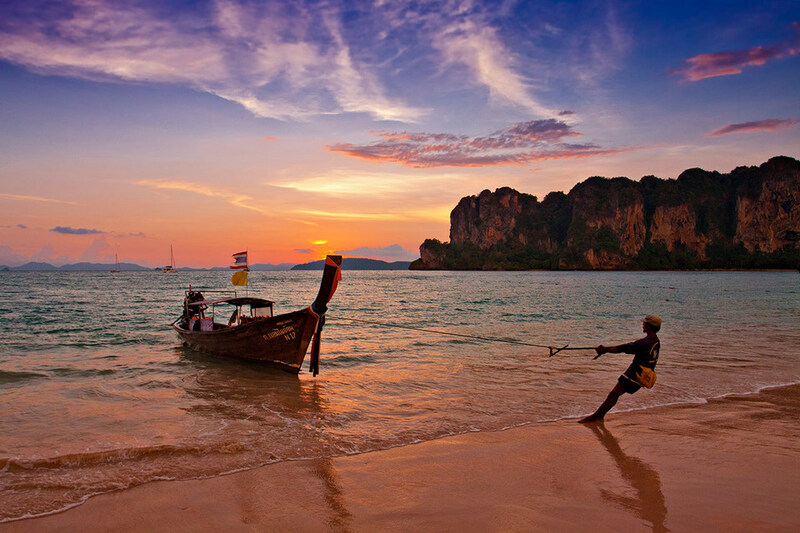 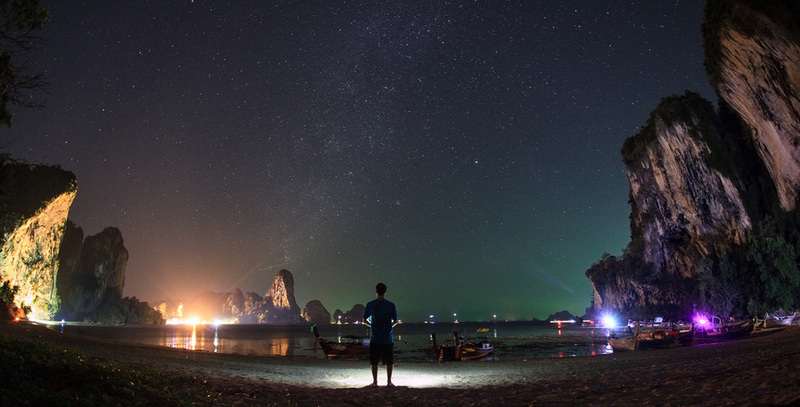 If your purpose is to go to sea, you should consider carefully before traveling to Railay during this time. 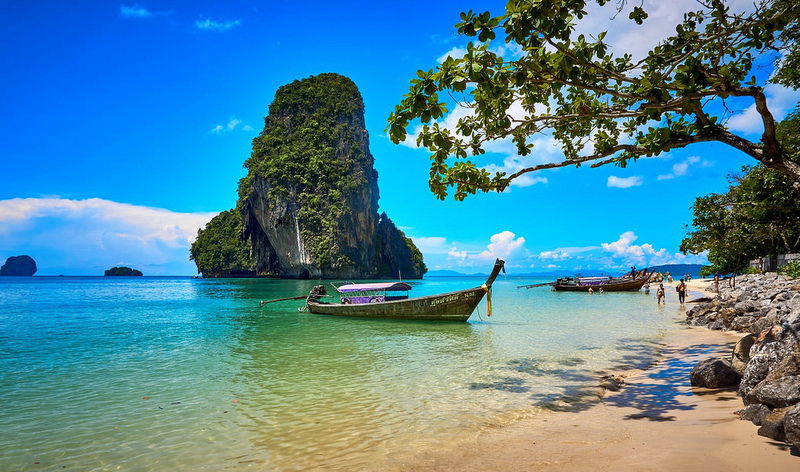 Read more Thailand travel guide at here. 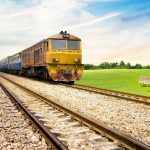 Very informative and usefull post.